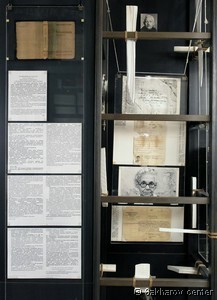 The exposition in the Sakharov Museum is organized around the topics: "The Day Before," "Arrest," "Prison," "Interrogation," "Sentence," "Transport," "Camp," and "Release," following the structure of Aleksandr Solzhenitsyn's book The GULAG Archipelago. 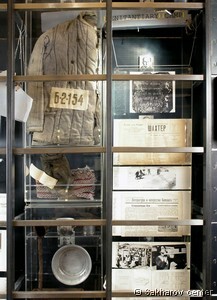 A great number of the people unjustly imprisoned were tried under the infamous Article 58 of the RSFSR Criminal Code, which had 14 sections including: "counterrevolutionary crimes:" "espionage," "treason," "subversion of industry, transportation, or trade," "sabotage," "anti-Soviet agitation and propaganda," and "terrorism." The arrest caught a person by surprise, sometimes leaving relatives with only a few small items to remember him or her by, symbols of a former life: crockery, a tapestry, a match box, a hunter's gunpowder measure … It also left them perplexed and wondering "why?." Anything at all could become a reason for arrest: a non-proletarian background, a handful of gleanings from a kolkhoz field, a relative or friend who had been arrested earlier, a violation of the passport regimen, or even, being late for work. A careless misprint in a newspaper (instead of the phrase "Trotskyist scum," the phrase "Soviet scum") cost the typesetter Laryukov not only his freedom, but also his life. The arrest report of I. P. Brech says that he "is sufficiently proven to be a participant of an anti-revolutionary organization" by testimony of the defendants in the case of a nationalistic organization; the case had been fabricated in the offices of the NKVD (People's Commissariat for Internal Affairs). Any careless word spoken not only in the presence of outsiders but also in the company of friends could cost a person his or her life. The country was teeming with secret agents of the security services, the so-called seksoty, who regularly filed their denunciations, which were considered sufficient grounds for arrests. In the "freest country" of the world, informing was made a civic virtue. "Arrest! Need it be said that it is a breaking point in your life, a bolt of lightning which has scored a direct hit on you? That it is an inassimilable spiritual earthquake not every person can cope with, as a result of which people often slip into insanity? Arrests are classified according to various criteria: nighttime and daytime; at home, at work, during a journey; first-time arrests and repeats; individual and group arrest. Arrests are distinguished by the degree of surprise required, the amount of resistance expected (even though in tens of millions of cases no resistance was expected and in fact there was none).Arrests are also differentiated by the thoroughness of the required search; by instructions either to make out or not to make out an inventory of confiscated property or seal a room or apartment; to arrest the wife after the husband and send the rest of the family into exile, or to send the old folks to a labor camp too." During the search, investigators used to confiscate all the suspect's documents: passport, identity papers, student identity cards, even transit passes. An inventory of confiscated items was drawn up. 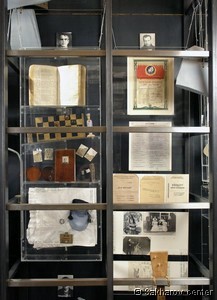 Some of the confiscated items could be later found in the flats of NKVD employees or in second-hand shops. Items determined to be "of no value" were destroyed, as was done with the manuscripts and notebooks of the prominent biologist Nikolai Vavilov, while his more valuable possessions, a flintlock pistol and two rifle cartridges, were sent to the NKVD warehouse. Most likely the state security agents could neither understand who Vavilov was, nor judge the value of his scientific materials. Very often, the people who worked for the state security agencies had little or no education beyond a few years of elementary school. For people lacking professional training, it was a real opportunity to rise on the social ladder, to achieve financial stability, and to enjoy privileges inaccessible to ordinary Soviet citizens. All employees of the "punitive organs" had to sign a strict non-disclosure pledge committing them to keep all information related to their job secret. 3. Prison - Interrogation - Sentence. 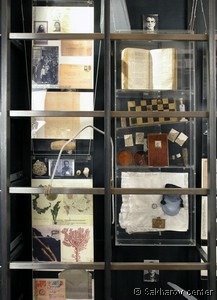 Over time, the methods of investigation were worked out in every detail. 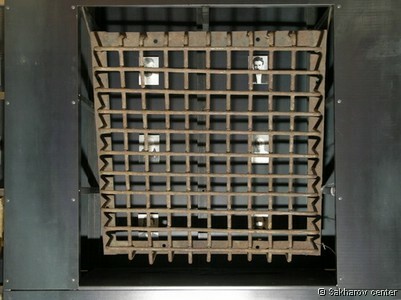 Interrogation became an assembly line procedure: intimidation and torture were followed by heart-to-heart talks, and lock-ups in the punishment cell were followed by proposals to collaborate with the security organs. "No list of tortures and torments existed in printed form for the guidance of interrogators! It was simply stated … that any measures and means employed were good, since they were being used for a lofty purpose;…and that prison doctors should interfere as little as possible with the course of the investigation. In all probability, they exchanged experience in comradely fashion; "they learned from the most successful workers." They, too, were offered "material rewards"- higher pay for night work , bonus pay for fast work…". At the end of the investigation, the prisoner faced a trial, at which he would hope to prove the absurdity of all the charges against him. The prisoner did not know that the indictment had already been submitted to "the appropriate judicial instance," and either a Special Board or a local "Troika" (a committee of three), not a court, would pass sentence - without the prisoner being present - on the basis of the investigator's report, without any trial, and without questioning the accused. Administrators would sometimes sign hundreds of forms a day containing the verdicts of these extrajudicial bodies - just the one word: "execute." The sentence was final. People sentenced to "the extreme measure of social defense" were collected in one cell, then brought out from death row at night to be shot in basements or to special firing grounds to be shot there. In Moscow, mass graves of executed prisoners were located in the NKVD's firing grounds of Butovo and Kommunarka, in the Donskoye and Vagankovskoye cemeteries, and on the grounds of the Yauza Clinic. According to official sources, in Moscow and Moscow Region alone, 35 thousand people were executed from 1921 - 1953. One of the thousands of victims of the bloody purges was a Petrograd teacher E. P. Zarudnaya, the mother of six children. Her husband, an officer, emigrated from Russia immediately after the Revolution. This provided a pretext to accuse her of connections with the White Guard during the Civil War. In 1921, she was arrested and executed in Omsk. Her children managed to be saved -- they were taken to Japan and from there to America through the American consulate. 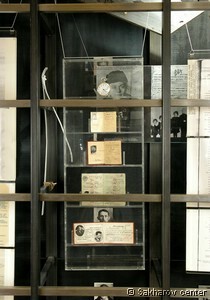 Many ended their lives in the investigation prisons. Those who survived were doomed to spend years in prisons and forced labor camps. "Sentences were like a lottery ticket; no one even tried to find explanations for why one person was sentenced to 10 years, and others to 8 or 5 years. "The term of punishment was like a card game, where the stake was a human life," wrote a former GULAG prisoner, Nina Gagen-Torn. Before a prisoner was transported, an order was drawn up which named a camp or a place of exile. 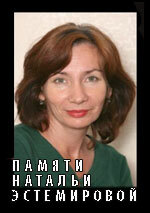 Z. D. Marchenko suffered through three arrests and sentences. She recalled her second transport to prison: "They kept me in Konotop Prison for almost a year, then without announcing either the term of punishment or the incarceration site (without any trial! ), they packed me into a Stolypin railroad car and sent me somewhere to the East. The Stolypin car was not a warm berth with bunks, but a car with compartments full of plank beds separated from the corridor by iron fencing. The trip was very difficult, the staff mocked us, they gave us salted fish but no water, and they allowed us only brief visits to the toilet. They would stop and hold us in transit prisons along the way, then go on. I don't remember any details from the transfer to Vladivostok. I remember how we entered the grounds of a transit camp on the Chernaya River. The female zone was a yard surrounded by a barbed-wire fence; in a large barrack there were three-tiered plank beds. The barrack was completely full, so as newcomers we were made to sleep on the floor stacked like cord-wood, along the center aisle of the building…"
Prisoners were transferred to their places of detention in Stolypin cars with barred windows and signs which said "Special Equipment;" on overcrowded steamboats and barges, on long marches through snow or desert. Not all the prisoners survived. When they unloaded a trainload from the Leningrad prison (1942) in Solikamsk, the entire embankment was covered with corpses, and only a few arrived alive. In the winters of 1944-45 and 1945-46 in the village of Zheleznodorozhny (Knyazh-Pogost), as in all the main rail junctions in the North, the prisoner trains from liberated territories (the Baltic states, Poland, Germany) arrived with one or two carloads of corpses tacked on behind. In the opinion of the "punitive organs," the corrective labor camp was supposed to fulfill several tasks: to isolate "dubious" people from society; to supply the state with cheap labor; and to rehabilitate convicts through labor. The newspapers Perekovka [Reeducation], Shakhter [Miner], Stroitel BAMa [Builder of the Baikal-Amur Railway] and several others, published in the name of the prisoners themselves, promised to fulfill extravagant work quotas; reported on the participation of the convicts, who were deprived of all rights, in the Stakhanovite movement of shock work; and exposed specific misdeeds. An account booklet was kept for each prisoner to calculate the fulfillment of his norm. In the 1930s, bonuses were granted for shock work - prisoners were permitted meetings with relatives, extra food rations, or even money prizes. But as a rule, the booklet didn't play a serious role in the lives of most prisoners, as they were unable to fulfill - let alone overfulfill - the back-breaking norms. According to orders of the USSR Council of Ministers enacted November 20, 1948 and March, 13, 1950, prisoners in all corrective labor camps should be paid a salary, which was, however, significantly lower than that paid to free employees. The expense of prisoners' food, clothes, and guards was deducted from their salaries. The small remainder of their earnings allowed them to purchase something in a camp canteen. Another way of encouraging industrious and obedient workers was the so called "granting of credits." Every month, a convict's sentence could be reduced by a certain number of days, depending on the nature and amount of work done. "One cannot enumerate nor cover all the different aspects of this work, nor wrap your tongue about them. To push a wheel-barrow… To carry hand barrows. To unload bricks barehanded… To haul bricks in a shoulder barrow. To break up stone and coal in quarry and mine, to dig clay and sand. To hack out eight cubic yards of gold-bearing ore with a pick and haul them to the screening apparatus… To cut coal underground… To impregnate ties with creosote… To carve out tunnels for railroads. And build roadbeds. To dig peat in a bog, up to one's waist in the mud. To smelt ores. To cast metal. To cut hay on hummocks in swampy meadows… And the oldest of all the kinds of work in the Archipelago - 'logging.'". 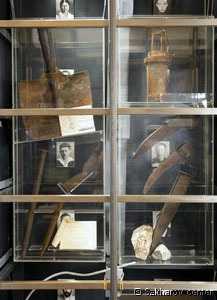 The main tools for "the construction of socialism" were carts, shovels, mining picks, spades, hand-saws… A working day of 12 - 16 hours outdoors when the temperature was -20 degrees Fahrenheit or in smothering heat, miserable low-calorie food, back-breaking norms of production, and inhuman conditions of life in barracks sent thousands of prisoners to their graves. Warmth, rest, food - everything upon which a prisoner's life depended in the camps -- were always in short supply. A prisoner's food ration was contingent on his norms of production. 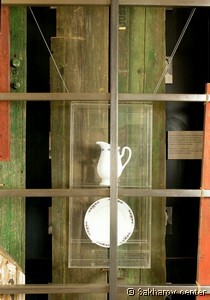 The "pots" were divvied up; if less than 30 percent of the norm (and in each different camp this was calculated in a different way) was fulfilled, the ration you received was a punishment block ration: 10.5 ounces of bread and a bowl of gruel a day; for from 30 to 80 percent of norm they issued a penalty ration of 14 ounces of bread a day and two bowls of gruel; for from 81 to 100 percent you got a work ration of from 17.5 to 21 ounces of bread and three bowls of gruel; and after that came the shock workers` pots, and they differed, from 24.5 to 31.5 ounces of bread a day, extra kasha - two portions - and the bonus dish, which was some kind of dark, bitter rye-dough tart stuffed with peas.. The pea jackets one color and their sleeves another. Or so many patches on the pea jacket that its original cloth is totally invisible. Or "a flaming" pea jacket - with tatters like tongues of flame… And on their feet, tried and true Russian bast sandals - except that they had no decent puttees to go with them. Or they might have a piece of an old automobile tire, tied right on the bare foot with a wire, an electric cord… Or else they wore felt boots pieced together from bits of old, torn-up padded jackets, with soles made of a layer of thick felt and a layer of rubber. Identification numbers on one's back were reminders of the strictness of the regime. They were sometimes also sewn on hats and pants. People were deprived of their names. Still, even in such inhuman conditions, people kept on living and arranging their space as well as they could. In women's barracks they often made "cozy corners" - that was what they called fabric curtains which the female prisoners used to decorate and separate their plank beds, thus making something like a cabin. These "cozy corners" were either permitted or suddenly torn down and prohibited depending on the mood of the authorities. Simple hand-made objects like photo frames, chess sets, playing cards, and balalaikas somewhat brightened life without freedom. The Cultural and Educational Unit (KVCh) was an indispensable part of camp life. The KVCh and the Cultural and Educational Department (KVO) in each camp created the illusion that in Soviet penal institutions, people were not only isolated and exploited, but also were trained and reeducated, enjoyed cultural activities, and were "rehabilitated" - refitted for a normal life. Although the main business of the KVCh was agitation "for meeting and exceeding the norms," they were venues for prisoners to get together and socialize, thereby sparing them from obsessive thoughts about their unbearable existence. For actors and artists confined in the camp, the KVCh meant exemption from the hard labor. Almost all camp wardens enjoyed culture and encouraged camp propaganda teams and theaters. There was no shortage of actors. Apart from actors Okunevskaya, Zhzhenov, and Fedorova, and singers Kozin and Ruslanova, all known throughout the USSR, there were lots and lots of actors who had worked in regional theaters. There were other such serf theaters in Vorkuta, Norilsk, Solikamsk, on all the big Gulag islands. And in those areas, the theaters became almost municipal theatres, almost academic theatres, and gave performances for free people in a municipal theater. The local MVD big shots sat haughtily with their wives in the front rows and watched their slaves with curiosity and contempt. The convoy guards sat behind the scenes and in the boxes with their automatic pistols. After the performances those players who had won applause were taken back to camp, and those who had fallen on their faces… to the punishment block. Sometimes they were not even allowed to enjoy the applause. Programs of concerts and performances were printed especially for camp wardens and free spectators. Actor Dvorzhetsky recalled: "I assembled some actors, musicians, writers, singers, and dancers… and without unduly praising myself I can say that I won over both the prisoners and the wardens. They praised us, encouraged us, gave us prizes, and of course, cruelly exploited us, sending us to perform in all the camps and colonies administered by the Omsk headquarters. And it didn't bother us. The important thing was that we were needed! We were giving performances everywhere with great success, we were wanted everywhere. It made me happy. I could see that our entertaining made the life of many prisoners easier…"
"I am trying to work as much as possible in order to remain sane. The necessity to be always in public, to see and come into contact with people for whom you feel nothing but disgust, the lack of privacy which makes it impossible to concentrate and to think anything through to the end, the countless conflicts between one's job and the means available to perform it - all this keeps one on edge, and I realize that I have already turned into a nervous wreck. You can't help yourself - the only remedy, if one exists, is to become absorbed in your work even if it is not as profound and useful as it could be in different conditions. Only for your sake I am trying to pull myself together, only my wish to keep you as happy as possible gives me strength." In 1937, a Leningrad Region NKVD Troika ordered the execution of Pavel Florensky. Letters from the world outside or from a relative held in another camp, such as a letter written on a handkerchief by the husband of Olga Adamova-Sliozberg, helped prisoners sustain their faith in love and friendly sympathy, preserve their humanity, and wait for their release without losing hope. 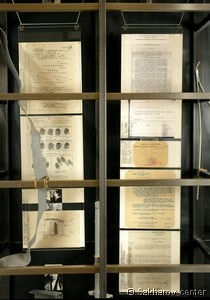 Letters gave prisoners the strength to go on living and to survive their term in camp. Release, if and when it finally came, did not always mean relief. People imprisoned in the 1940s could be sent back to a camp or to exile for life. After receiving a Certificate of Release, exiles were left on their own to find shelter and food. They were obliged to register monthly with the local authorities. "What can be more bitter than knowing that you are strong, you have ideas and knowledge, but nobody needs you? You have been shut out of life. You are offered a choice: either clean pigsties or plait straw mats on a collective farm. In camp, it was easier: you saw the fences and walls, but here, you experience the cruelest mockery a human being can suffer. They say: 'You are a free person; you even retain your right to vote and participate in elections,' but you can't travel further than 10 kilometers from your place of exile without the permission of the local boss" Nina Gagen-Torn wrote in her memoirs. After the death of Stalin, and especially after the denunciation of the "cult of personality" at the 20th Party Congress, the mass release of political exiles and prisoners began, followed by the process of their rehabilitation. 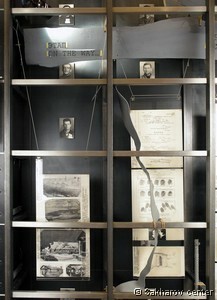 Many former prisoners, however, didn't live to see their rehabilitation. The Certificate of Rehabilitation of former GULAG prisoner Valentina Ievleva released in 1952 states that: "The case of Ievleva, Valentina Grigorievna, born in 1928 in Arkhangelsk and arrested on September 28, 1946, has been reviewed by the military tribunal of the Leningrad military district on October 26, 1959. The sentence pronounced by a military tribunal of the Arkhangelsk Region Interior Ministry on January 10, 1947, and the verdict of a military tribunal of the Leningrad region Interior Ministry delivered on February 8, 1947, in the case of Ievleva, V.G. are RESCINDED and the proceedings are dismissed for lack of evidence that a crime was committed." After receiving her Certificate of Rehabilitation, the former GULAG prisoner Adamova-Sliozberg wrote: "I was arrested on April 27, 1936. Thus I paid 20 years and 41 days of my life for this mistake… There was nobody else at home so I could cry with abandon. I cried over my husband who died in the basement of Lubyanka when he was 37 years old, in the prime of his life and of his talent; over my children who grew up orphans stigmatized as children of 'enemies of the people,' over my parents who died of grief, over Nikolai who had been worn out in the camps, over my friends who hadn't lived to rehabilitation and were buried in the frozen ground of Kolyma". The Road Through the GULAG.